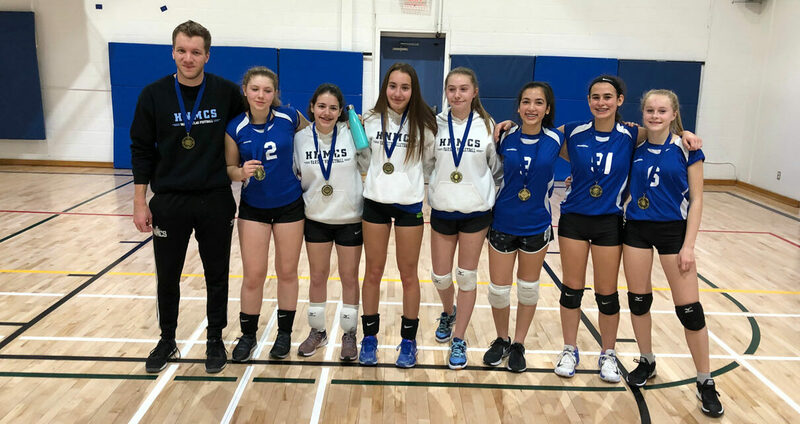 It was an athletic first for HNMCS as our varsity volleyball team competed in a tournament at Hawthorn against other CISAA teams and took home the gold medal. 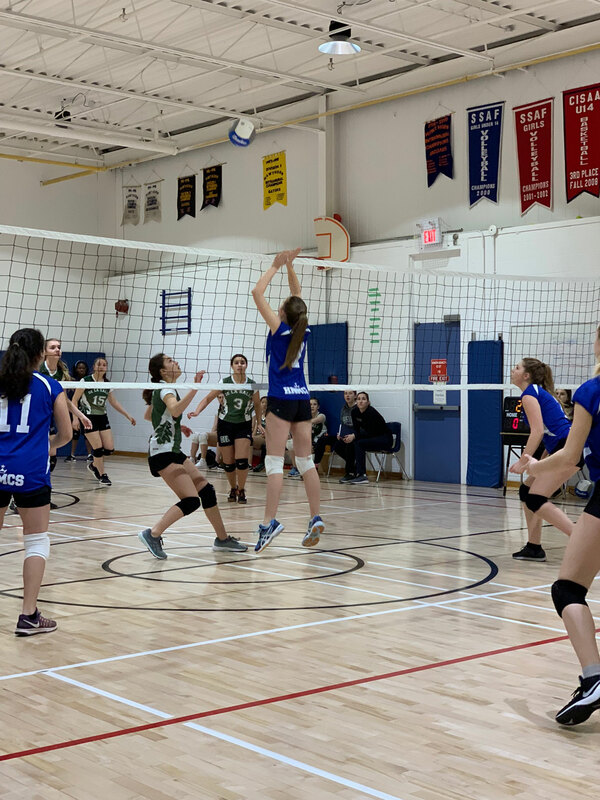 Clara Dmytryshyn ‘21, Fayble Shawera ‘21, Kaitlyn Van Eyk ‘21, Christina Caklos ‘22, Angeline Medeiros ‘22, Sophia Clasper ‘22 and Bianca Santaguida ‘22 came from behind in their semi-final game against De La Salle to take on Hawthorn in the finals. They found that same drive after losing the first set and fighting through to win the tournament. Fantastic effort girls! 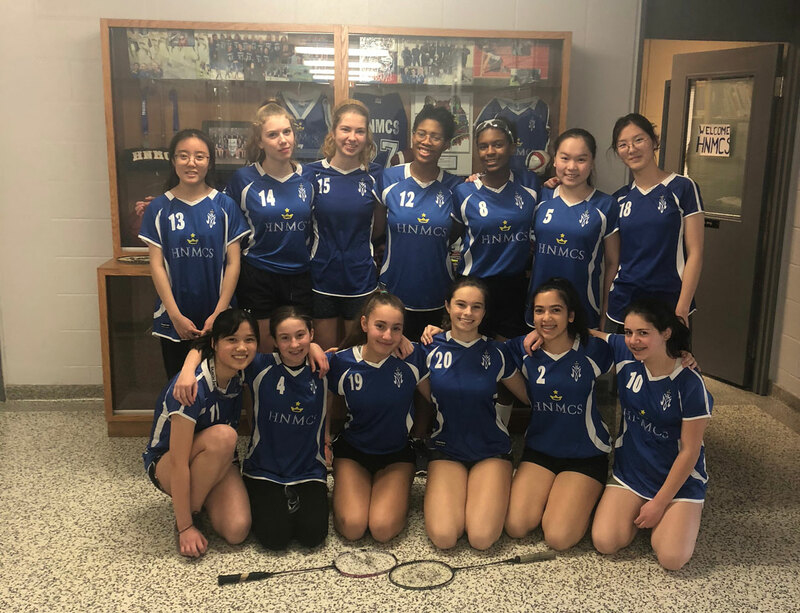 For the first time, HNMCS has a varsity badminton team. 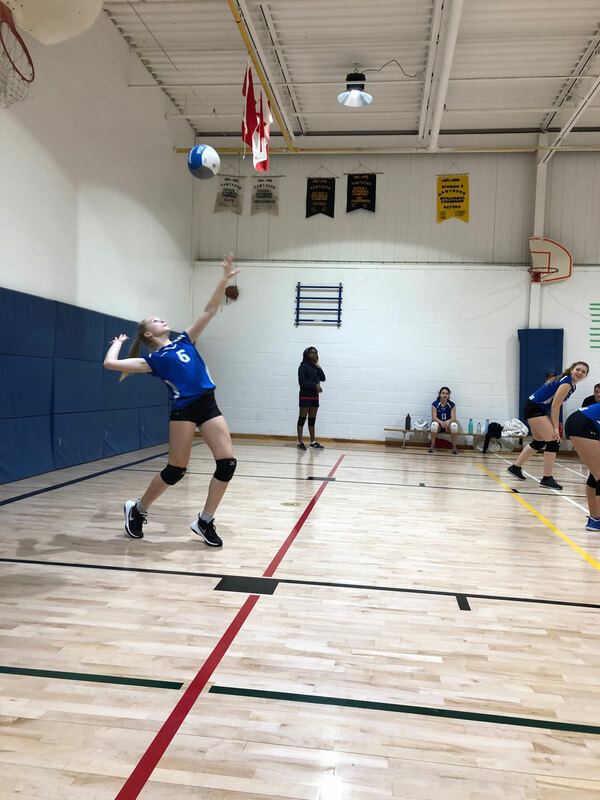 More than 25 girls tried out for the 12-member team, comprised of six sets of doubles partners, who played in two exhibition matches against St. Mildred’s-Lightbourn School. Each match was a best of three set. We lost our first match 4-2 but improved significantly in our second match and were able to tie 3-3. A special shout out to our graduating senior team members Maya Pankiw ‘19 and Geneva Hines ‘19.